TUMBLEBUS is using Smore newsletters to spread the word online. 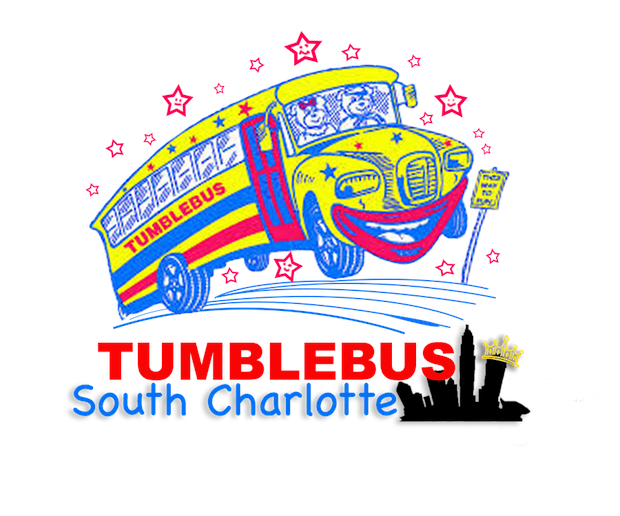 What's Happening On TUMBLEBUS in March? 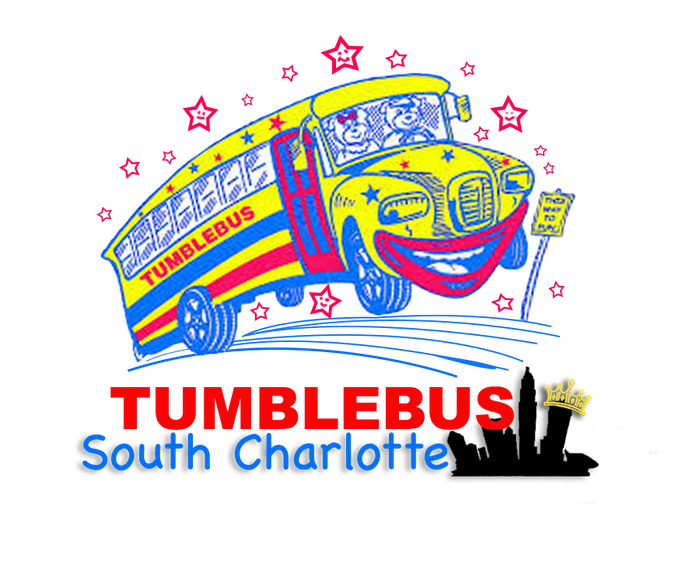 Welcome to LUCKY LAND on TUMBLEBUS! Happy March! This month we are celebrating all things March! From clovers, the color green, rainbows, leprechauns, pots of gold, and spring, we're having a blast. 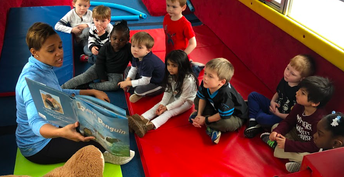 Teddy and friends are learning new skills, reviewing old, practicing listening skills, and talking about the letter "L" as we discuss listening, leprechauns, and being lucky throughout stretches, circuit time, activities, and especially during story time with Teddy. We're completing our skills through structured play, and being exposed to a variety of spring and holiday related books. Here's a Peak Inside Lucky Land! Can't Help But Have a Blast in Lucky Land! Across the Rainbow ! Where's the Gold? Story Time with Teddy and Ms. Taylor! BEYOND FIT has a new look! 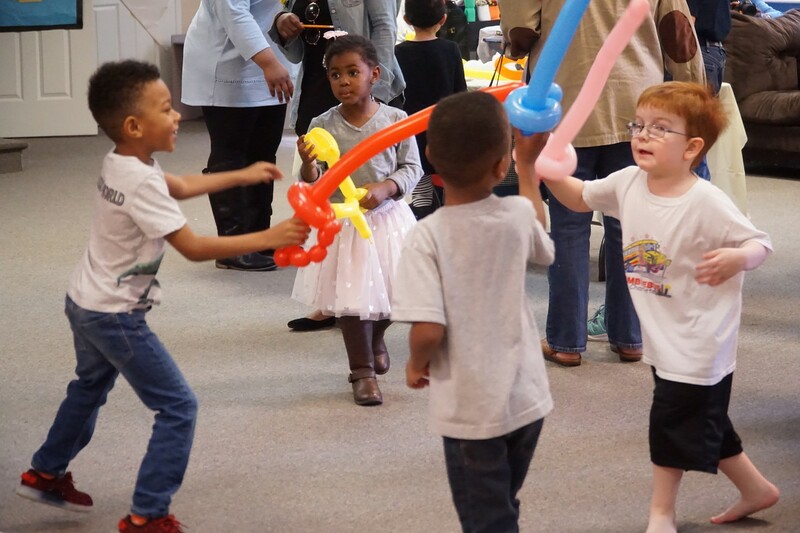 As the TUMBLEBUS South Charlotte story continues to transpire, we are always working to find new innovative ways to serve by seeking more solutions for children, teachers, and families on a larger scale. 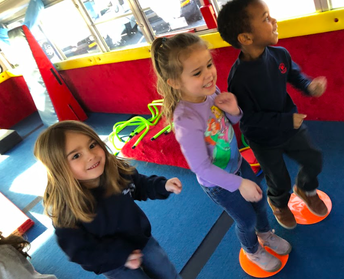 Introducing the new and improved Beyond Fit Kids Brand that will utilize the TUMBLEBUS to make some of our enrichment programs mobile! What is Beyond Fit Kids? 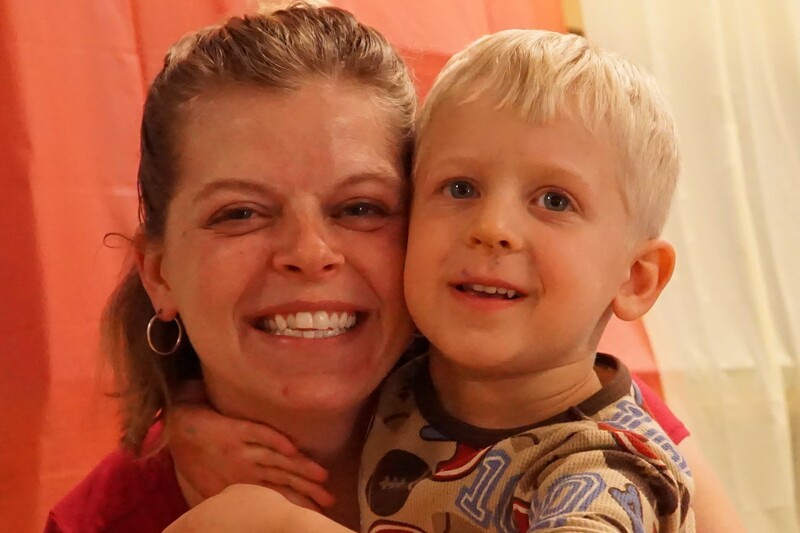 Beyond Fit Kids is a mobile education company specializing in movement, music, and literacy related enrichment for children, and professional development for youth developers in all child care and school settings. 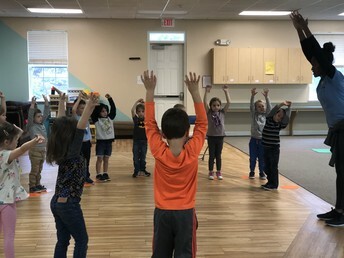 The program actively promotes creativity through fitness, dance, and entertainment by offering educational activities through on-site classes, trainings, YouTube videos, and children’s books and music. 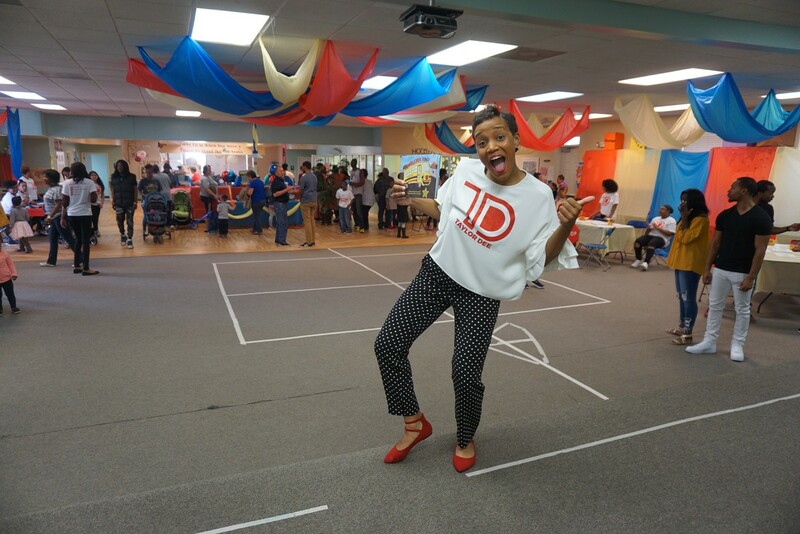 Through community outreach and partnerships, BEYOND Fit Kids partners with like-minded companies and organizations to render services in an effort to positively impact as many families, educators, and children's lives as possible. Happy 1 Year Anniversary to the TUMBLEBUS Book/Song! This Time Last Year We We're Celebrating at the Book Signing! Check out the video below. Still don’t have a book? Order your book or cd by clicking below to get your child moving and learning even beyond TUMBLEBUS! Interested in a Book or CD? Click Here to Order Your Child's Book Today! Do you have Facebook? Instagram? Let's Connect on Social Media! What Skills are We Learning this Month? Here are a few skills we'll be covering this month! PLAY-"Spring Yoga"- Spring starts in March! 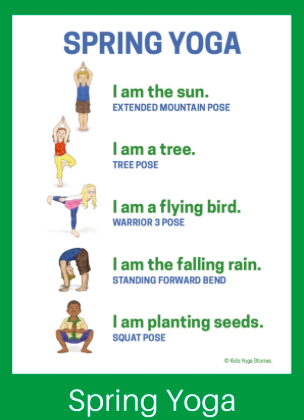 Celebrate by practicing these Spring Yoga moves! 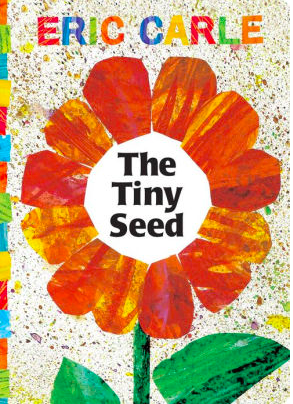 READ-"The Tiny Seed" By Eric Carle- Follow the life cycle of a seed along with the bright illustrations that can only come from an Eric Carle book. SING-A-LONG and move like our favorite animals with Ms. Taylor Dee! 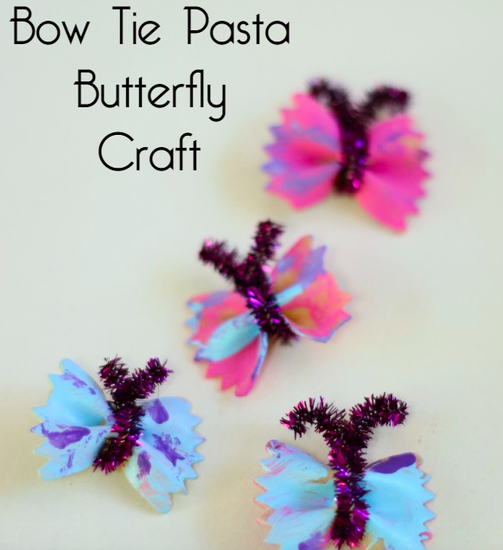 MAKE Bow Tie Pasta!? That's Right! Click Here to Learn How to Make It! 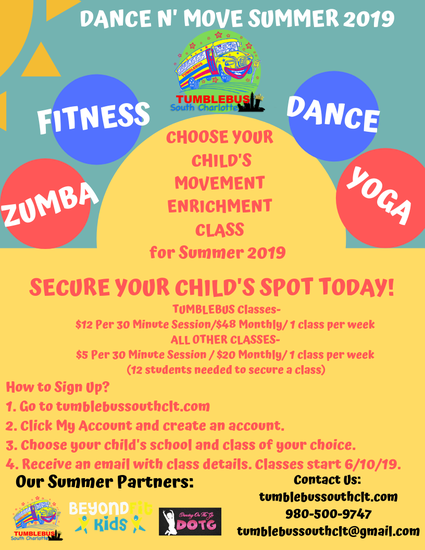 Be on the lookout for more classes to choose from for your kids this Summer 2019! Sign ups start soon! "The best preparation for tomorrow is doing your best today." -Brown Jr. 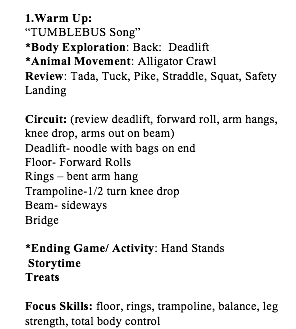 Thanks for allowing your child to be a part of BEYOND Fit/ TUMBLEBUS programs. 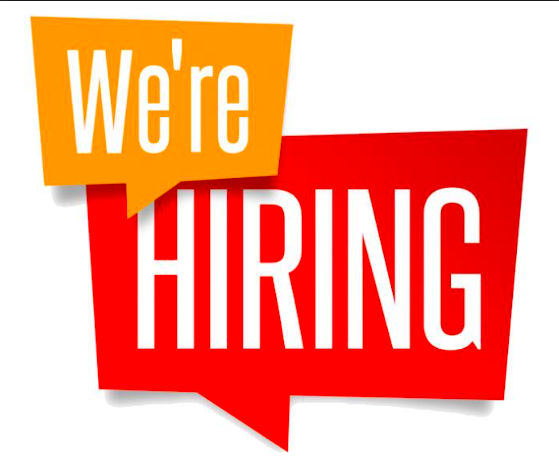 If you ever have any questions please don't hesitate to contact us and ask.